Unique construction requires no nuts or bolts and assembles quickly and easily without tools. Versatile design allows two different set-ups: a five-shelf, 72" high storage unit, or a 36" high workbench. Shelves adjust in 1" increments for storage flexibility. 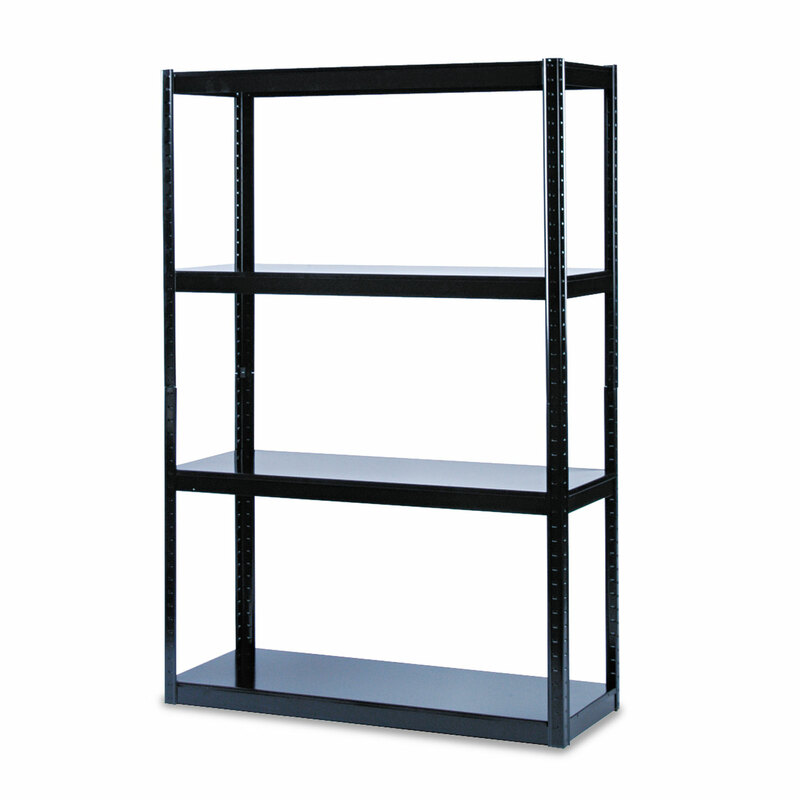 Steel frame with a durable powder coat finish. Color: Black; Overall Width: 48"; Overall Depth: 18"; Overall Height: 72".